Our subjective experiences can be true but they are limited. This is aptly illustrated by the Indian parable in the drawing above, of the blind men and the elephant, a story which demonstrates the necessity and power of diversity. According to the parable, a group of blind men (yes they are men in this story) surround an elephant to learn about its shape. After touching it they compare their experiences and immediately start to fight each other. ‘An elephant has the shape of a tree’ says one who touched its leg. ‘No, no, an elephant is like a wall’ says another who touched its side. ‘No way, an elephant is like a snake’ says the one who touched the trunk. When a sighted man walks by and describes the entire elephant, the blind men get a glimpse of the ‘full picture’. Diversity is considered as a recognizable source of creativity and innovation in order to gain a competitive advantage within a country and an organization. High cultural differences at the country level could be an indicator of a more tolerant society, which in turn can create grounds for dialogue and cooperation. The United Nations further identifies cultural diversity as a driving force of development, not only with respect to economic growth but also as a means of leading a more fulfilling intellectual, emotional, moral and spiritual life. However, according to the United Nations, three-quarters of the world’s major conflicts have a cultural dimension and bridging the gap between cultures is urgent and necessary for peace, stability and development. The desire for diversity may appear to be a contradiction to the need for unity at an organizational level. Companies seeking global relevance face a paradoxical situation, wherein the one hand, embracing diversity can be risk of conflict that can result in absenteeism, poor quality, low morale and loss of competitiveness in the workplace whereas avoiding diversity can be a loss of competitive advantage in a diverse market. However, the evidence suggests that diversity is actually good for business. In order to overcome this paradoxical situation, diversity management should be made an integral part of corporate culture. Diversity management, at an organizational level, goes beyond simply hiring a demographically diverse workforce. It is a signal of an organization’s genuine attitude toward employees’ diverse perspectives and backgrounds. Dialogue is not only appreciating diversity, it essentially relies on it. The literature suggests that the challenges that women and minorities face can be solvable. We need the ‘other’ to better understand and serve the vibrant, arching and diverse world that we live in and in order to effectively utilize our diversity for our mutual benefit, we need to grow the capacity and courage to address conflicts by processing them in a safe space. 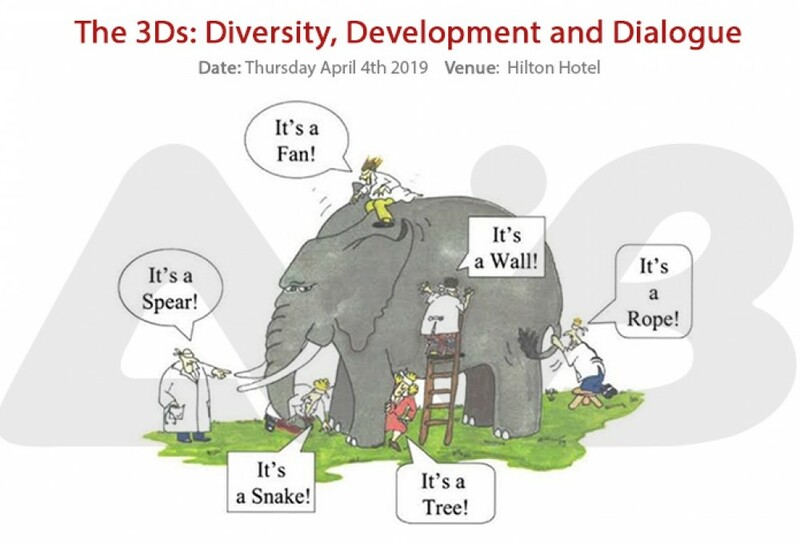 Productive dialogue on diversity can enable effective organizational change because dialogue has the potential to teach us aspects of reality that are not yet integrated as parts of our experience and awareness. There are different models of diversity. One model identifies four layers of Diversity which include personality (central to the model), internal dimensions, external dimensions and organizational dimensions. The inner dimension describes features that may not be features that do not affect the individual, such as, inter alia, age, gender, ethnicity, physical abilities. The external dimension refers to basically influenceable features that characterize an individual, such as education, work experience, marital status, leisure behaviour, residence, income, habits, leisure activities, religion or belief. The organizational dimension refers to features that put the individual in relation to professional activities, such as function, job content, department, seniority, status. In this discussion we define Diversity as an understanding the uniqueness of individuals, recognizing individual differences which can be from the dimensions of race, ethnicity, gender, sexual orientation, age, socio-economic status, physical abilities, religious beliefs, political beliefs or other ideologies; Development, from the perspective of economic development, can be defined as efforts to improve the economic well-being and quality of life for a community and Dialogue is defined as taking part in a conversation or discussion in order to resolve a problem. Which external, organizational and individual factors play a role in the formation of a diverse institutional/corporate culture? How can multicultural organizations create a work culture which embraces individual and group difference to unlock the potential of each employee? How are diversity and dialogue relevant? What roles does dialogue play in this process?